Reporting by Brian Homewood; editing by Justin Palmer 21 January 2014- Zurich — Footballers who take part in match-manipulation risk losing their careers if caught but those who induce the players and set up the fix do so at almost no risk to themselves, according to FIFA's head of security Ralf Mutschke. 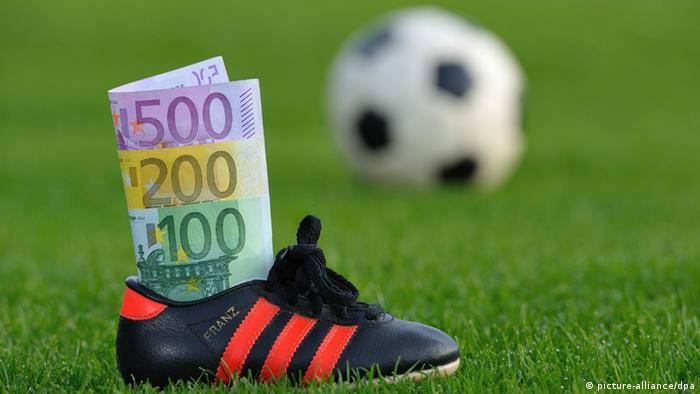 In the last few years, dozens of players have been banned, many for life, for trying to manipulate matches, often driven to do so in desperation after months of not being paid at all by cash-strapped clubs. Recent cases have involved, among others, the Austrian Bundesliga, English football's semi-professional sixth tier and the El Salvador national side, where 14 regular internationals, who have formed the core of the national side for the last decade, received life bans. "The fixer is moving from one player or referee to the next, and is basically exempt, cannot be prosecuted, but when we know about the players, we ban them from life from football," said Mutschke. "It's not a good deterrent for organized crime, for the criminals, and I say clearly, we need the assistance of governments, and the political will to change. "We would like the criminals, the ones bribing the players, to get a stricter sentence to deter them. Currently there is no deterrent, they are moving around, they approaching people, with what we call cold approach. "They have no risk, and that is awful." Mutschke said governments were, in most cases, "not doing enough. "In Italy they are doing something, and they have a lot of criminal investigations. But, in the other parts of Europe, most countries do not have proper laws against match manipulation. "Look at the Council of Europe, you have an initiative that match manipulation should be penalized, which the governments are not doing," he said referring to a resolution passed in 2011 which called on governments, sports federations and betting companies to take joint-action against match-fixing. "This means that when we come from FIFA or a national FA, trying to convince the police to launch investigations, they say we have no jurisdiction and it is not a priority for us. This is not acceptable." In one case, a court in Switzerland, FIFA's host nation, acquitted three players in a match-fixing case, saying there were no obvious victims of bets place online. FIFA president Sepp Blatter described the verdict as "an own goal." Mutschke said there had been some signs of governments stirring into action, but it was slow progress. "I know that in Switzerland they are discussing it, and in Germany it's on the agenda for the coalition...I think there are lot of things under discussion which is good. "But I know you can't change overnight, it's not their highest priority." To further complicate matters, investigations invariably require international co-operation. "They are approaching players here in Europe, but betting fraud is conducted in Asia, so it's very difficult for a local police force to oversee the entire picture," said Mutschke. "If we come in and say, you have to launch an investigation, and that investigation will lead you to South-East Asia, then they say well I have other crime fighting on my table and I don't think we are going to investigate match-fixing." Mutschke emphasized the sport could not tackle the problem alone. "It is not our business, we cannot fight against organized crime," he said. "I have been fighting organized crime for 30 years and I know how difficult it is and it's even worse if you have no gun, no jurisdiction to fight the mafia and organized criminals. "People have to understand that it's a challenge to government and to law enforcement." For all the difficulties, Mutschke pointed out that only a tiny number of matches were still affected. "I'm still not paranoid, I still enjoy football," he said. "I do know that percentage-wise, it is very, very little, much less than one percent. "I'm not going around, watching football saying this is a fix....I'm very relaxed about this."